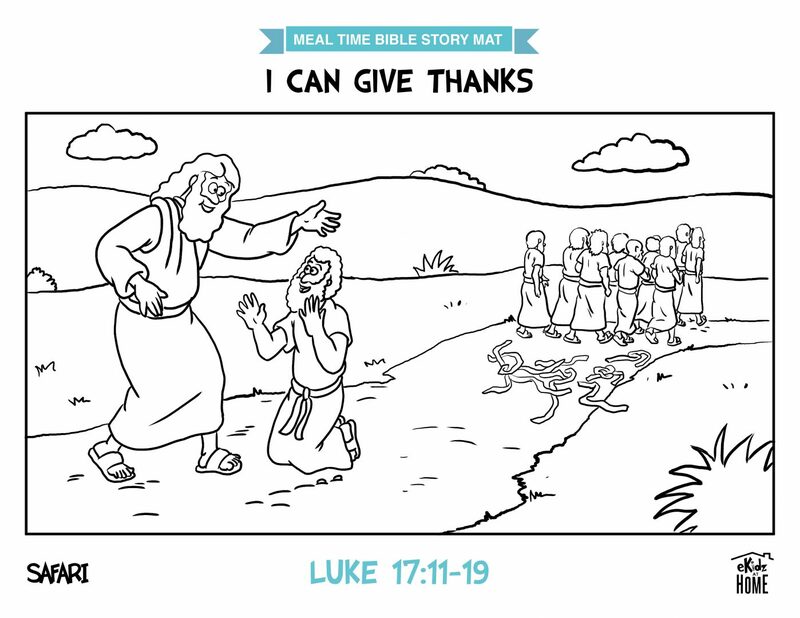 This month we are learning, “I can give thanks.” We will learn about the story of the Ten Lepers in Luke 17: 11-19. Jesus healed all 10 of the lepers, but only one of them came back to tell Jesus thank you. God wants us to have a thankful heart and express our thankfulness. Say, “In the picture you see that Jesus healed ten men who were sick. Only one of the men went back to tell Jesus ‘Thank you.’” Pray with your toddler.